As a member of our team, Nora is partially responsible for our main goal: making sure that USGBC communicates with the world in the most effective and compelling way, while maintaining our standards of sustainability. No pressure, right? Nora tackles our content creation head first on a daily basis. 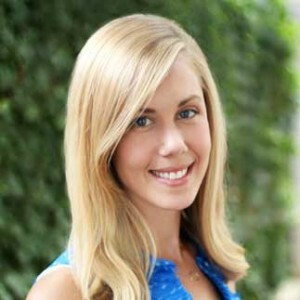 She is responsible for managing our digital marketing content across many platforms, ranging from websites to emails, from blog posts to Instagram videos, and from online advertising to content campaigns. Without her, our message would be lost! Favorite city to visit? Any city I haven’t been to—I love exploring new places! Describe your role on the USGBC Marketing Team. As USGBC’s digital marketing manager, I have the opportunity to develop and oversee digital marketing strategies to increase USGBC’s customer engagement, raise brand awareness, acquire and nurture leads and drive revenue. Zodiac sign: I am a perseverant Taurus. Favorite season: Springtime. I love the warmer weather, longer days with more daylight, and new life. Are you a morning person, or night owl? I have a newborn who is up at all hours, so these days I’m both—a morning person and a night owl. Favorite quote: “Darkness cannot drive out darkness; only light can do that. Hate cannot drive out hate; only love can do that.” —Martin Luther King, Jr.
Our innovative Studio team is comprised of marketing strategists, digital analysts, designers and developers. This supergroup is responsible for making sure that USGBC communicates with the world in the most effective and compelling way while maintaining our standards of sustainability. The only way we can accomplish this is through collaboration. Glad you guys took the time to meet Nora—stay tuned to meet the rest of our talented team members! We’re always looking for new, dynamic and engaging ways to present information. So when we came across Readymag, we knew it was the ideal tool to help us evolve our signature LEED in Motion reports. Aside from it being awesome to look at and easy to navigate, it gave us the opportunity to expand beyond the printed page, allowing our reports to be more versatile and adaptable than ever before. Readymag brings these reports to life, making them more interactive while also providing us with a greater opportunity to share new information about LEED projects and professionals. It combines the beauty of publishing with functional digital design, resulting in a beautiful interface that engages readers and allows the stories and information to shine. With an opportunity to link within the report, we can expand the reach even further, sharing the profiles of LEED professionals from our USGBC directory and other resources mentioned in the report. This makes for a LEED in Motion that extends beyond the printed page, allowing for an expanded view outside of what’s contained in the text. Another bonus Readymag offers is the ability to showcase volumes, so when we have more information to share we can grow the report beyond just the first iteration. They’re also retina ready, making the stunning, high-resolution images of the featured LEED-certified buildings look almost as spectacular as they do in person. 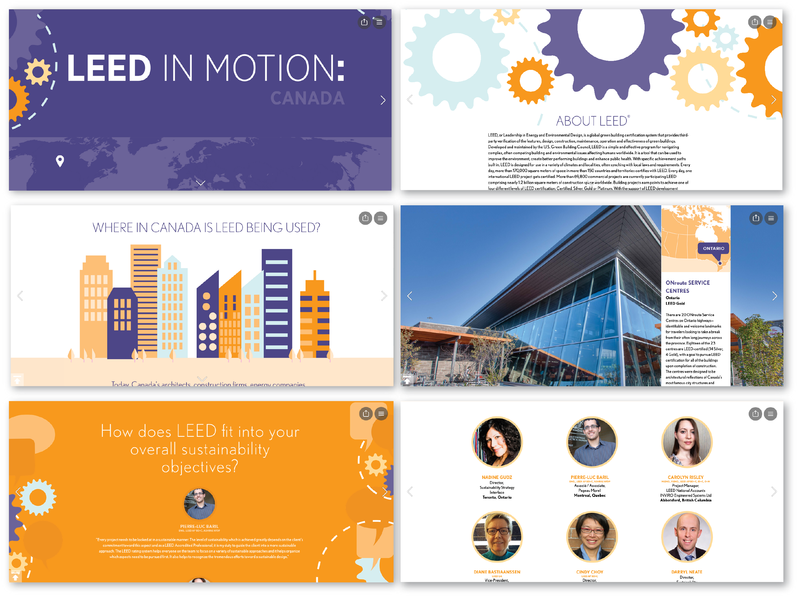 We’re excited to use Readymag for our LEED in Motion reports and beyond. Check out what we’ve created so far at readymag.com/usgbc. Our staff photographer and marketing project manager Ana Ka’ahanui has some creative and inspirational items she likes to keep at arm’s length. Check them out below! Yogi tea bags – While we are extremely fortunate to have coffee and tea provided in our staff kitchen, I keep a steady supply of Yogi Green Tea Super Antioxidant at my desk. I can prepare the tea hot or cold depending on my mood and the bonus is that each tea bag has an inspirational phrase attached. Tervis Cup – I love this brand because you can prepare hot and cold drinks in them. They come in all kinds of fun and funky styles. The colorful designs always brighten my day. Portable external hard drive – I deal with photo files every day and the portable drive allows me to exchange images and video clips easily with colleagues since email can be cumbersome. Push pins – Being a visual person, I love to tack up photo and video specs, things to do, reminders, important dates and numbers, project lists, etc. Happy knick-knacks – My Zen Dog statue puts me at ease when I need a moment of calm. 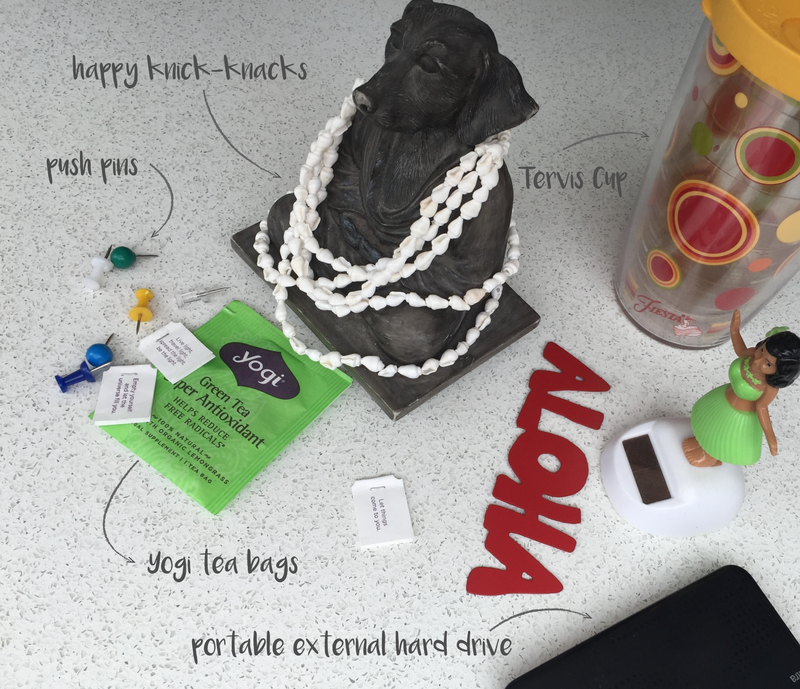 Being from the Aloha State, I like to keep reminders of home on my desk, like my solar-powered Hula Girl. They always put a smile on my face, especially when the DC weather is not as perfect as it is in paradise. Are there things you keep on your desk to help make your workflow successful? Don’t forget to check out our first #WOYD post, too! So you’re signed up to attend Greenbuild! Amazing news! Besides being able to take advantage of the award-winning events, education and programming that Greenbuild has to offer, you’ll also get to spend time in USGBC’s own hometown of Washington, DC. If you’ve never been to Washington, DC before, you’re in for a treat! Not only does DC have a jaw-dropping number of free museums and monuments, it also has quite a food scene. In fact, it was named one of the most exciting restaurant cities on the East Coast by Travel + Leisure, with a slew of eateries specializing in every type of cuisine imaginable! Founding Farmers: We can’t make a list of top restaurants to visit while in DC attending Greenbuild without mentioning the obvious pick: Founding Farmers! Not only is this downtown restaurant LEED Gold, it also has some truly delicious food and drinks. Our pick: the grilled cheese and tomato soup! Anything owned by Jose Andres: There’s no shortage of restaurants in this category, and luckily, most of his famous establishments are a stone’s throw from the Greenbuild home base. Chose from any of his award-winning restaurants—Zatinya, Oyamel, China Chilcano or Jaleo—you can’t go wrong. Table: Just steps from the convention center, in the historic Shaw neighborhood, Table specializes in serving up seasonal and locally sourced ingredients in a notably shoebox-sized setting. Daikaya: A unique two-in-one eatery featuring ramen on the first floor and an izakaya upstairs. The quick-service ramen shop serves Sapporo-style ramen, while Japanese comfort food is served upstairs in a full service setting. Be prepared: Daikaya’s ramen is addicting! Restaurant Nora: The quintessential farm-to-table restaurant, this Dupont Circle landmark has been serving organic dishes since 1979. As America’s first certified organic restaurant (they earned this distinction in 1999), 95 percent of the products used at Restaurant Nora are from certified organic suppliers. Any of your favorites missing from the list? Let us know in the comments.